Why Is Public Health Controversial? Patient information: A handout on low-carbohydrate diets, written by the authors of this article, is available on page 1951. See related editorial on page 1896. Downloaded from the American Family Physician Web site at www.aafp.org/afp. Copyright© 2006 American Academy of Family Physicians. For the private, noncommercial use of one individual user of the Web site. All other rights reserved. Contact [email protected] for copyright questions and/or permission requests. Clinical recommendation Low-carbohydrate diets are slightly more effective than low-fat diets for initial, short-term weight loss (three to six months), but they are no more effective after one year. Low-carbohydrate diets do not adversely affect lipid profiles, but evidence of their effect on long-term cardiovascular health is lacking. Supplementation with a multivitamin should be considered in persons on a low-carbohydrate diet. Because long-term data on patient-oriented outcomes are lacking for many diets, it is not possible to clearly endorse one diet over another. A = consistent, good-quality patient-oriented evidence; B = inconsistent or limited-quality patient-oriented evidence; C = consensus, disease-oriented evidence, usual practice, expert opinion, or case series. For information about the SORT evidence rating system, see page 1874 or http://www.aafp.org/afpsort.xml. carbohydrate diet. This type of diet differs from ketogenic diets used for seizure prevention, which substitute fat for protein and carbohydrates. Diets such as the Zone Diet,11 Carbohydrate Addict’s Diet,12 and later phases of the South Beach Diet13 restrict carbohydrates to 40 percent of calories or less, and they focus more on the glycemic index of foods than the Atkins Diet. Figure 1. Comparison of blood sugar responses to low– and high–glycemic-index foods. ALLEN R. LAST, M.D., M.P.H., is assistant program director at the Racine Family Medicine Residency Program at the Medical College of Wisconsin, Racine. He received his medical degree from the University of Wisconsin Medical School, Madison, and completed residency training and a faculty development fellowship at the University of Pittsburgh Medical Center (UPMC) St. Margaret Family Medicine Residency Program, Pittsburgh, Penn. 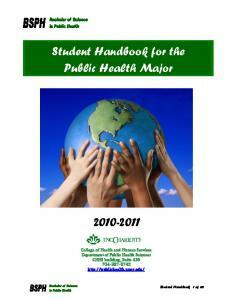 He received a master’s degree in public health from the University of Pittsburgh Graduate School of Public Health. Insulin resistance or glucose intolerance and at least two of the following conditions: Atherogenic dyslipidemia (mainly increased triglyceride levels and low high-density lipoprotein cholesterol levels) Central obesity Elevated blood pressure Microalbuminuria Information from reference 36. STEPHEN A. WILSON, M.D., M.P.H., is assistant director for predoctoral education and faculty research at the UPMC St. Margaret Family Medicine Residency Program, associate director for its faculty development fellowship, and clinical instructor of family medicine at the University of Pittsburgh School of Medicine, where he received his medical degree. He completed a family medicine residency and faculty development fellowship in faculty development at UPMC St. Margaret. He received a master’s degree in public health from the University of Pittsburgh Graduate School of Public Health. Address correspondence to Allen R. Last, M.D., Racine Family Medicine Residency, Medical College of Wisconsin, Department of Family and Community Medicine, 1320 Wisconsin Ave., Racine, WI 53403 (e-mail: [email protected] edu). Reprints are not available from the authors. Author disclosure: Nothing to disclose. REFERENCES 1. Flegal KM, Carroll MD, Ogden CL, Johnson CL. Prevalence and trends in obesity among U.S. adults, 19992000. JAMA 2002;288:1723-7. 2. Flegal KM, Carroll MD, Kuczmarski RJ, Johnson CL. Overweight and obesity in the United States: prevalence and trends, 1960-1994. Int J Obes Relat Metab Disord 1998;22:39-47. 3. Ogden CL, Flegal KM, Carroll MD, Johnson CL. Prevalence and trends in overweight among U.S. children and adolescents, 1999-2000. JAMA 2002;288:1728-32. 4. National Center for Health Statistics. Executive summary of the Growth Chart Workshop, 1992. Accessed online November 12, 2005, at: http://www.cdc.gov/ nchs/data/misc/growork.pdf. 5. Strauss RS, Pollack HA. Epidemic increase in childhood overweight, 1986-1998. JAMA 2001;286:2845-8. 6. Mokdad AH, Marks JS, Stroup DF, Gerberding JL. Actual causes of death in the United States, 2000 [published corrections appear in JAMA 2005; 293:293-4 and JAMA 2005;293:298]. JAMA 2004; 291:1238-45. 7. Finkelstein EA, Fiebelkorn IC, Wang G. State-level estimates of annual medical expenditures attributable to obesity. Obes Res 2004;12:18-24. 8. Serdula MK, Mokdad AH, Williamson DF, Galuska DA, Mendlein JM, Heath GW. Prevalence of attempting weight loss and strategies for controlling weight. JAMA 1999;282:1353-8. 9. Freedman MR, King J, Kennedy E. Popular diets: a scientific review. Obes Res 2001;9(suppl 1):1S-40S. 10. Atkins RC. Dr. Atkins’ Diet Revolution: The High Calorie Way to Stay Thin Forever. New York, N.Y.: Bantam, 1973. 11. Sears B, Lawren B. The Zone: A Dietary Road Map. 1st ed. New York, N.Y.: Regan, 1995. 12. Heller RF, Heller RF. The Carbohydrate Addict’s Diet: The Lifelong Solution to Yo-Yo Dieting. New York, N.Y.: Dutton, 1991. 13. Agatston A. The South Beach Diet: The Delicious, Doctor-Designed, Foolproof Plan for Fast and Healthy Weight Loss. New York, N.Y.: Random House, 2003. 14. Ludwig DS. The glycemic index: physiological mechanisms relating to obesity, diabetes, and cardiovascular disease. JAMA 2002;287:2414-23. 15. Foster-Powell K, Holt SH, Brand-Miller JC. International table of glycemic index and glycemic load values: 2002. Am J Clin Nutr 2002;76:5-56. 16. Ebbeling CB, Leidig MM, Sinclair KB, Hangen JP, Ludwig DS. A reduced-glycemic load diet in the treatment of adolescent obesity. Arch Pediatr Adolesc Med 2003;157:773-9. 17. Chanmugam P,Guthrie JF, Cecilio S, Morton JF, Basiotis PP, Anand R. Did fat intake in the United States really decline between 1989-1991 and 1994-1996? J Am Diet Assoc 2003;103:867-72. 18. Despres JP, Lamarche B, Mauriege P, Cantin B, Dagenais GR, Moorjani S, et al. Hyperinsulinemia as an independent risk factor for ischemic heart disease. N Eng J Med 1996;334:952-7. 19. Hodge AM, English DR, O’Dea R, Giles GG. Glycemic index and dietary fiber and the risk of type 2 diabetes. Diabetes Care 2004;27:2701-6. 20. Steward HL. The New Sugar Busters! : Cut Sugar to Trim Fat. 1st ed. New York, N.Y.: Ballantine, 2003. 21. Fischer K, Colombani PC, Wenk C. Metabolic and cognitive coefficients in the development of hunger sensations after pure macronutrient ingestion in the morning. Appetite 2004;42:49-61. 22. Yancy WS Jr, Olsen MK, Guyton JR, Bakst RP, Westman EC. A low-carbohydrate, ketogenic diet versus a low-fat diet to treat obesity and hyperlipidemia: a randomized, controlled trial. Ann Intern Med 2004; 140:769-77. 23. Brehm BJ, Seeley RJ, Daniels SR, D’Alessio DA. A randomized trial comparing a very low carbohydrate diet and a calorie-restricted low fat diet on body weight and cardiovascular risk factors in healthy women. J Clin Endocrinol Metab 2003;88:1617-23. 24. Foster GD, Wyatt HR, Hill JO, McGuckin BG, Brill C, Mohammed BS, et al. A randomized trial of a low-carbohydrate diet for obesity. N Engl J Med 2003;348:2082-90. 25. Shils ME. Modern nutrition in health and disease. 9th ed. Baltimore, Md. : Williams & Wilkins, 1999:904. 26. Bravata DM, Sanders L, Huang J, Krumholz HM, Olkin I, Gardner CD, et al. Efficacy and safety of low-carbohydrate diets: a systematic review. JAMA 2003; 289:1837-50. 27. Samaha FF, Iqbal N, Seshadri P, Chicano KL, Daily DA, McGrory J, et al. A low-carbohydrate as compared with a low-fat diet in severe obesity. N Engl J Med 2003;348:2074-81. 28. Stern L, Iqbal N, Seshadri P, Chicano KL, Daily DA, McGrory J, et al. The effects of low-carbohydrate versus conventional weight loss diets in severely obese adults: one-year follow-up of a randomized trial. Ann Intern Med 2004;140: 778-85. 29. Dansinger ML, Gleason JA, Griffith JL, Selker HP, Schaefer EJ. Comparison of the Atkins, Ornish, Weight Watchers, and Zone diets for weight loss and heart disease risk reduction: a randomized trial. JAMA 2005;293:43-53. 30. Sondike SB, Copperman N, Jacobson MS. Effects of a low-carbohydrate diet on weight loss and cardiovascular risk factor in overweight adolescents. J Pediatr 2003;142:253-8. 31. Willi SM, Oexmann MJ, Wright NM, Collop NA, Key LL Jr. The effects of a high-protein, low-fat, ketogenic diet on adolescents with morbid obesity: body composition, blood chemistries, and sleep abnormalities. Pediatrics 1998;101(1 pt 1):61-7. 32. Reddy ST, Wang CY, Sakhaee K, Brinkley L, Pak CY. Effect of low-carbohydrate high-protein diets on acidbase balance, stone-forming propensity, and calcium metabolism. Am J Kidney Dis 2002;40:265-74. 33. Wing RR, Vazquez JA, Ryan CM. Cognitive effects of ketogenic weight-reducing diets. Int J Obes Relat Metab Disord 1995;19:811-6. 34. Cho E, Spiegelman D, Hunter DJ, Chen WY, Stampfer MJ, Colditz GA, et al. Premenopausal fat intake and risk of breast cancer. J Natl Cancer Inst 2003;95:1079-85. 35. Law M. Dietary fat and adult diseases and the implications for childhood nutrition: an epidemiologic approach. Am J Clin Nutr 2000;72(5 suppl):1291S-6S. 36. World Health Organization. Definition, Diagnosis, and Classification of Diabetes Mellitus and Its Complications: Report of a WHO Consultation. Geneva: World Health Organization, 1999. Report "Obesity is a major public health"